“I can’t rock without a chandelier…that’s just where I am in life,” joked Wilco front man Jeff Tweedy, commenting on the décor (namely the purple glowing chandeliers) in the Fillmore Auditorium on Thursday night. Denver was the first stop on the 2012 leg in support of 2011’s The Whole Love, the group’s eighth studio album and the first release on their own record label, dBpm [Decibels Per Minute] Records. “I don’t know if we’ve started a lot of tours here, but I can really feel this altitude in my haunches,” Tweedy mentioned. 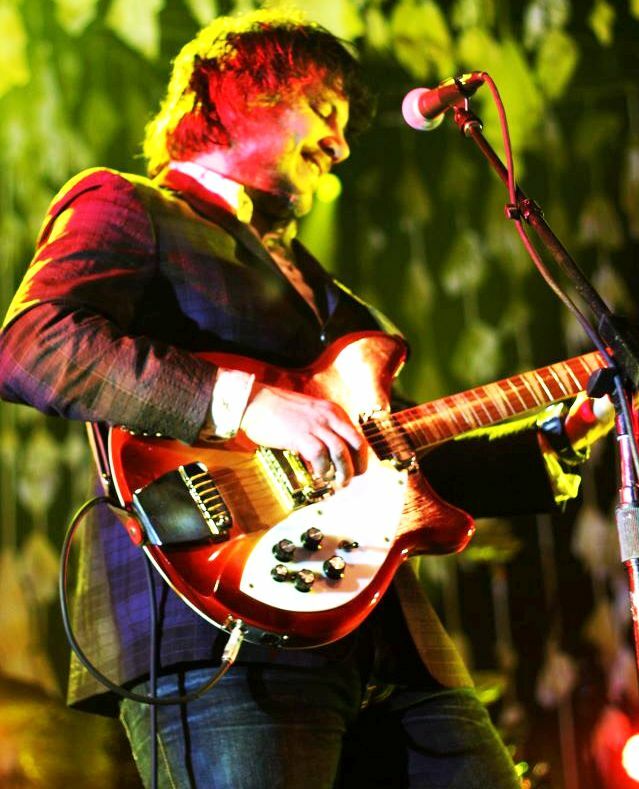 Wilco are always good for running the gamut through their vast catalog in a live setting. Thursday was a stout show from start to finish. An 18 song main set with an encore (or what might more appropriately be referred to as a second set) consisting of 8 songs gave fans a solid fix. There was a decent showing of tunes from the new album (6 in total). “Art of Almost” was a highlight, a quintessential representation of the bands unique style, and second song of the night. “I Might,” “Born Alone,” “Capitol City” and the albums title track were also the quiver of new songs for the evening. Against a stage backdrop consisting of what looked like hundreds of little cloth ghosts strung together, Tweedy and company opened the gates, to say the least. “Shot in the Arm,” “War on War,” “Misunderstood,” “Via Chicago,” “I Am Trying to Break Your Heart,” “Box Full of Letters” and “Kamera” were complimented by an amazing lighting display (that see-sawed between seizure-inducing and comforting) and projections that simulated animated patterns such as a flock of birds scattering and a bunch of helium balloons escaping into the atmosphere. The light-hearted “Capitol City” was accompanied by visuals resembling bubbles floating to the top of a champagne glass. As the guitar onslaught of “Impossible Germany” wound down into its final notes, the lights paralleled, settling into 3 blinding rays shining out into the crowd, and then fading into a calmer red hue. 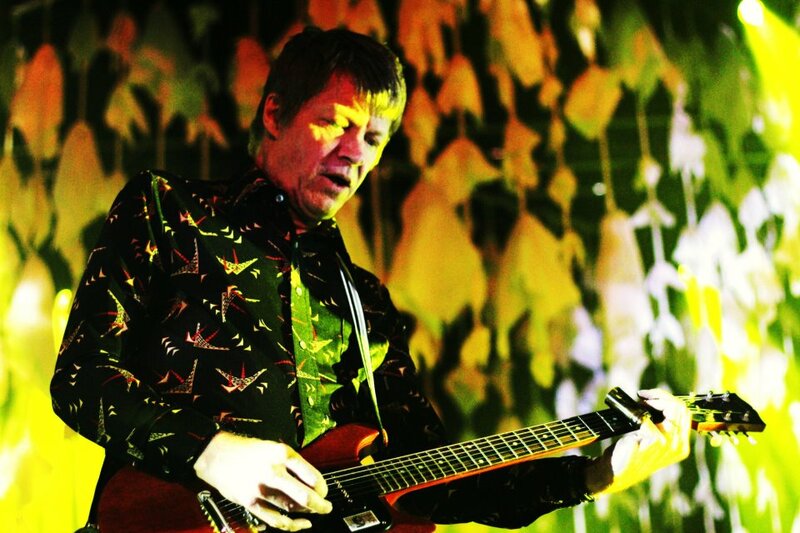 Guitarist Nels Cline was an animal, as usual. “The Worlds Most Dangerous Guitarist” doesn’t merely play his instrument; he cultivates a sound that rides a technical razor edge between tranquility and chaos, which is why he fits so perfectly in a band like Wilco. Whether during his solo in “Side With the Seeds” or his stellar lap-steel work in “Walken,” he is so obviously a focused professional who takes his instrumental role quite seriously. And Cline could not have found himself among better company. Drummer Glenn Kotche, bassist John Stirratt and keyboardist Mikael Jorgensen rode their A-game from start to finish. But then again, when do they not? Multi-instrumentalist Pat Sansone split his duties between his keyboard and guitar, and stayed present on the latter for the bulk of the encore, even throwing down a Pete Townshend windmill at the end of “I’ve Got You (At the End of the Century)”. This spring marks the 10 year anniversary of their album Yankee Hotel Foxtrot and perhaps there was a bit of celebration of the fact with a perfect “Poor Places” opener and the overall inclusion of 7 out of the 11 tracks from the album in the evening’s performance. This Chicago-based outfit never ceases to amaze when they are in town. A second-to-none combination of songwriting, innovation and experimentation, steeped in good old rock and roll roots, there is hardly an act out there that can haul a road show of this level of grandeur around the globe with such consistency.